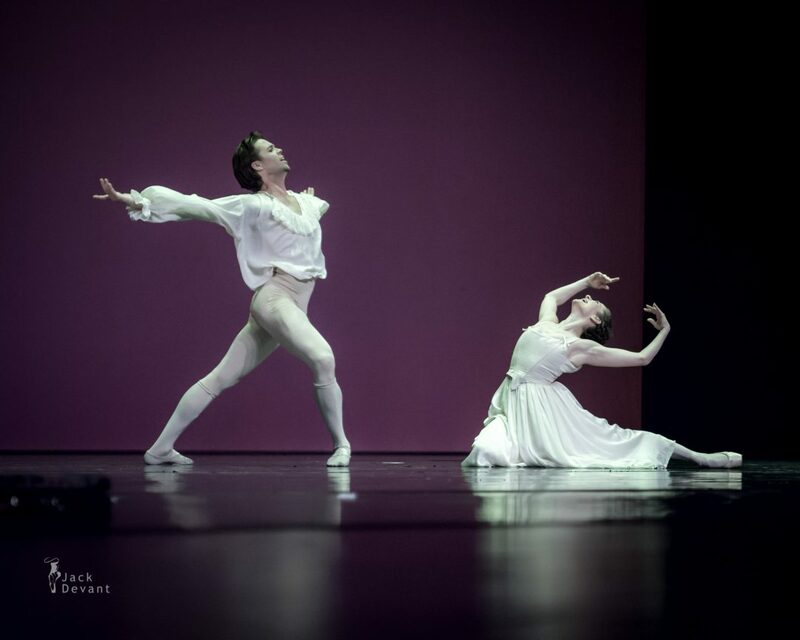 Elena Glurdjidze and Matthew Golding in Manon bedroom scene, music by Jules Massenet, choreography by Sir Kenneth MacMillan. Gala des Etoiles 2015, Juwelen des Welballetts, shot on 15.th and 16th of May 2015 in Grand Théâtre Luxembourg. Elena Glurdjidze (also Elena Glurjidze) is retired Prima Ballerina at English National Ballet. She was born in Georgia, she started training at the School of Choreography in Tbilisi, Georgia, and later trained in St. Petersburg at the Vaganova Ballet Academy. She joined English National Ballet in 2002, and was voted “Best Female Dancer” in 2007. She quit English National Ballet in Jan 2015 from the position of Senior Principal Dancer. Matthew Golding is a Principal of The Royal Ballet. He was born in Saskatchewan, Canada and from the age of 14 trained at the Royal Winnipeg Ballet School, joining the Universal Ballet Academy in Washington D.C. aged 16. In 2002 he won the Youth America Grand Prix and a Prix de Lausanne scholarship to study at The Royal Ballet School. In 2003 he graduated into American Ballet Theatre. In 2009 he joined Dutch National Ballet as a second soloist and was promoted to principal in 2010. He continues to dance as a guest artist with the company.